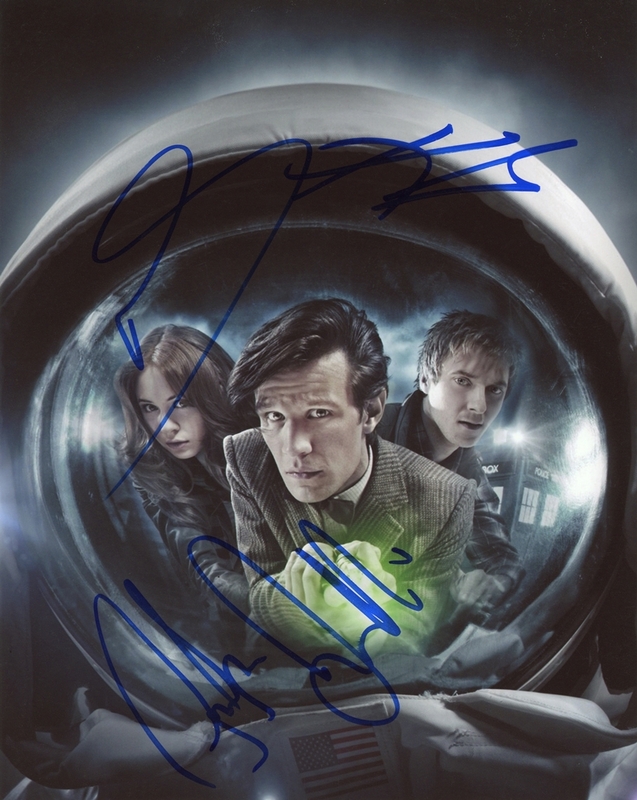 We never sell copies or reproductions of any kind; this photo has been hand-signed by Matt Smith, Karen Gillan & Arthur Darvill. Matt signed this photo in-person at a screening for The Crown in New York City on October 24, 2016. Karen autographed this picture at the 24 Hour Plays in New York City on November 17, 2013. Arthur signed this photo at his hotel in New York City on April 12, 2011.